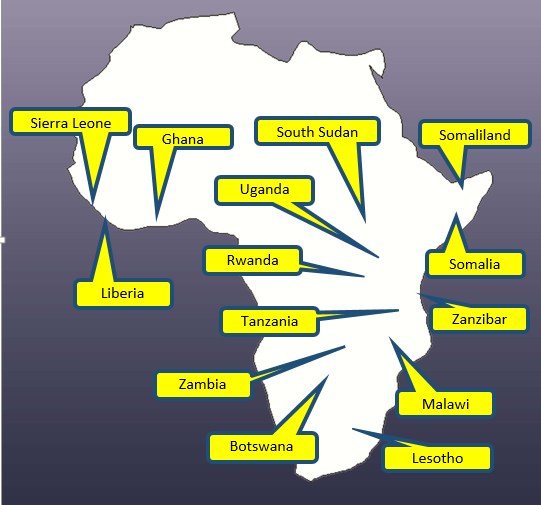 ACGN is partnering with the African Association for Public Administration and Management (AAPAM) to conduct the above international training programme for personnel responsible for preparing or reviewing policy proposals to Cabinet. This will build on ACGN’s successful training programmes in Kigali (2014), Accra (2015), Entebbe (2015) and Zanzibar (2016), and is open to personnel from line Ministries who are responsible for developing policy proposals for Cabinet, as well as Cabinet Secretariat staff. Ensure your membership fees are paid to take advantage of the discounted training fee of USD 1,000. Cabinet Secretariats are responsible for travel and accommodation costs. Please download the course information. Funded by UNDP, ACGN is providing support to the Liberian Cabinet Secretary, the Hon. Jordan Sulonteh, to review Liberia’s Cabinet procedures as part of the transition process following the election of H.E. George Weah. During July-August 2018, ACGN’s Executive Director, Mark Johnston, and Senior Cabinet Adviser, John Templeton, are helping to revise the Cabinet Members’ Handbook and the Cabinet Guide for Ministries, Agencies and Commissions, as well as advising on follow-up to Cabinet retreats and a capacity building plan for the Cabinet Secretariat. Workshop for Cabinet Secretaries and other senior officials to support evidence-informed decision-making and Cabinet procedures. For further information, please contact: Roundtable@CabinetGovernment.net. Third ACGN Roundtable Meeting in April 2016, Malawi. Results for All and the African Institute for Development Policy (AIFDEP) are hosting a two-and-a-half-day peer learning workshop for policymakers from around the world, to share strategies for using different types of evidence to overcome the challenges governments often face in effectively implementing policies. Teams of 3-4 policymakers from 7-8 national governments will be fully-funded to participate in the workshop. 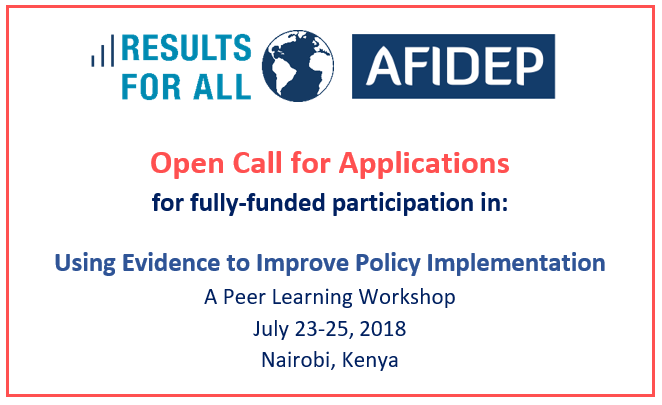 Participants will work in country teams to discuss and diagnose the root causes of policy implementation challenges, create solution-based roadmaps, and exchange experiences and lessons on evidence use in policy implementation across different contexts. Please find more details and application instructions here. Deadline for applications: May 14, 2018 via email to info@results4all.org. The ACGN Executive Director, Mark Johnston, was invited to speak at the Africa Evidence Informed Policy Forum in Nairobi on 6-7 March 2018, recognising the work that ACGN has done over the last four years to promote and facilitate evidence-informed policy making by African Cabinets. The Forum was organised by the Canadian Government’s International Development Research Centre (IDRC) and attended by African think tanks, researchers and key donors including the Gates, Hewlett, Ford and Mastercard Foundations. It provided an opportunity for Dr Johnston to outline the work of ACGN and to highlight the critical role that Cabinet Secretaries can play in strengthening the decision-making processes of African Governments, as described in the report: ‘Driving Evidence Informed Decision-Making from the Top: Working with African Cabinet Secretaries’. 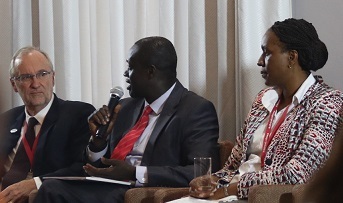 The Forum recognised that policy-making is an inherently political process and strongly endorsed the need for policy researchers to engage proactively at the political level to ensure their work is relevant to the issues being faced by decision-makers as they address national priorities and the critical needs of their peoples and economies. For more information on the content of the workshop see the Forum website. While in Nairobi Dr Johnston also met with the Secretary General of the African Association for Public Administration and Management (AAPAM) to discuss collaboration on an ACGN training workshop on Evidence Informed Policy Making for policy analysts from Cabinet Secretariats and line Ministries. Details of the workshop have now been announced. See above and course information. On 21 June 2017 the ACGN Executive Director was guest speaker at a Washington seminar for World Bank staff on the role of the ACGN. In response to his presentation, participants discussed the benefits of supporting Cabinet Secretariats to improve the quality of policy proposals being submitted to African Cabinets, leading to more inclusive, evidence-informed policies that are more likely to be effectively implemented. The seminar highlighted the more sustainable benefits of strengthening mainstream institutions such as Cabinet Secretariats and the vital role they play in supporting high-level decision-making processes. The Bank’s Governance Practice has also published a blog on the work of ACGN prepared by the Executive Director for Bank staff and others involved in designing and delivering Center of Government projects. The Stakeholder Engagement project, completed in the first half of 2017, was an Australian fun ded initiative of the Africa Cabinet Government Network. The project aimed at increasing the input and participation of relevant communities and other stakeholder groups when line Ministries are preparing proposals for Cabinet consideration, in order to improve on the impact of government decision, and to ensure policies and projects are implemented effectively to address national priorities and especially to address the needs of the vulnerable groups such as women and children. The Stakeholder Engagement Guide for Sierra Leone was approved in June 2017 by the President of Sierra Leone for use by all Ministries. An international version of the Guide has also been developed for other members of ACGN and is also available to be downloaded. The ACGN Executive Director, Dr Mark Johnston, was invited to participate in this conference in Abidjan 28-30th March, 2017, supported by UNDP and the World Bank. The Conference was attended by approximately 400 experts and government representatives from across Africa, including four Heads of State and the head of UNDP. The paper prepared for the Conference by Dr Johnston, Helping African Governments Make Evidence-Informed Decisions, highlighted the role and activities of ACGN. For more information on the conference see the CIEA website.